The global IT industry is valued at $5.4 trillion, made up of hardware, software, services, and telecommunications. 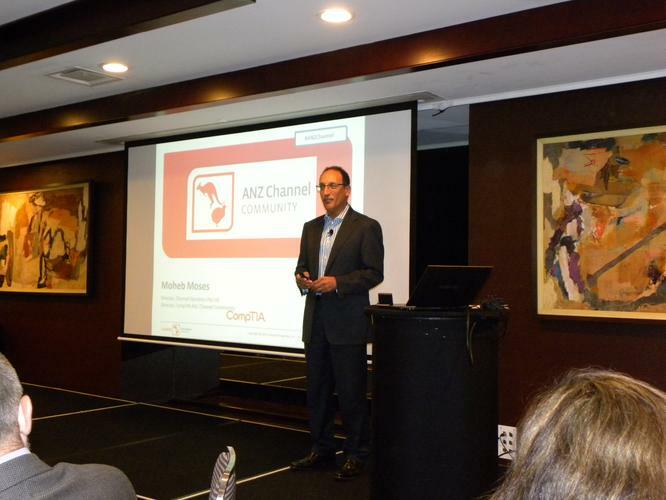 And Asia-Pacific holds 29 per cent of this industry, according to Channel Dynamics director and CompTIA A/NZ channel community director, Moheb Moses. Moses said the A/NZ region makes up seven per cent of that market. “Hardware makes up 28 per cent, services makes up 22 per cent, while telecommunications makes up a large percentage (38 per cent) and software making up 12 per cent. It would be interesting to see how the divide looks like in 12months,” he said. Moses attributed some findings from independent analyst firm, Gartner, which showed that the device mesh, the ambient user experience, and 3D printing material will be the top three trends going into the new year. “These things will have an implication in our industry but what’s more important in this conversation is how devices will work together and provide us with a graphical user interface. And it goes beyond that to how it flows from one device to another seamlessly. “Machine learning and the Internet of Things also tie in to these trends. But how many of these trends will be relevant to SMBs in 2016? And to what degree do we, as an industry, make money out of it? I don’t see it happening for a few years” he mentioned. He claimed the top two outcomes businesses want to have in 2016 is to reduce costs and increase customer reach. He indicated some of the key technologies in doing so include the Cloud, being data driven, automation, offering everything as a service, and IoT, amongst others. Within security, he highlighted the growth in criminalisation and the organisation of cybercriminals as a growing threat. “So there’s a shift – before, it was only about security and now, the concern is, security is shifting to be an organised criminal activity. But this presents an opportunity for the industry because technology is one of the responses to this. “The next is changing the way in which companies address security and the third is the human factor – how people think about and approach security. It’s about the processes,” he added. The IoT was also a technology Moses brought up, even though he mentioned it is overhyped. He also indicated that the channel is generally an optimistic bunch. Read more ​INSIGHT: The Cloud strategy cookbook - a recipe for transformation? “When you look at optimism and pessimism, there are factors that make us optimistic just as there are factors that make us pessimistic. The Cloud is one that swings both ways, just like new technologies arising which also means more competition,” he added.